I was recently with a friend/colleague who made the comment, “Most social media is really selfish media.” He’s right. 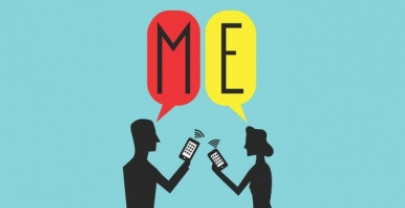 There is a lot of “me, me, me” in the digital social world. Here are a few ways to keep your content more social and less selfish. 1. Don’t go on and on about your accomplishments. It’s called social media for a reason. It’s supposed to be social, and there is nothing social about a self-focused monologue. As much as possible invite people to engage in conversation. I recently read a piece by Sté Kerwer in which he talks about purposefully not finishing a thought in order to encourage reader participation. He points out how “unfinished” thoughts really increase comments. In many cases the comments are better than the original post. I haven’t been able to go as far as Kerwer recommends, but I have removed some “overkill” explanations from my posts, so as to leave room for readers to disagree. What do you think? Is not saying enough a sign of weak thought or inviting others to speak? 2. Offer insightful comments on other posts. Even if you don’t agree with everything someone writes, your comments recognize their content is valuable enough to merit engagement. Because social media acts like a huge whiteboard covered in content, it’s easy to look over and see someone else’s thoughts and copy them as your own. Case in point: The quote from my friend at the beginning of this post and the piece by Sté Kerwer. There is no doubt that my friends words and Kerwer’s piece influenced me to write this post. And I could have written my content without referencing either of them. But I find that giving credit where credit is due, helps me avoid the lie that my content has to be 100% original. It doesn’t. Content can be part originality, part sharing and part referencing. What do you think? Do these pointers help take the selfish out of your social media. Go ahead…join the conversation, leave a comment.